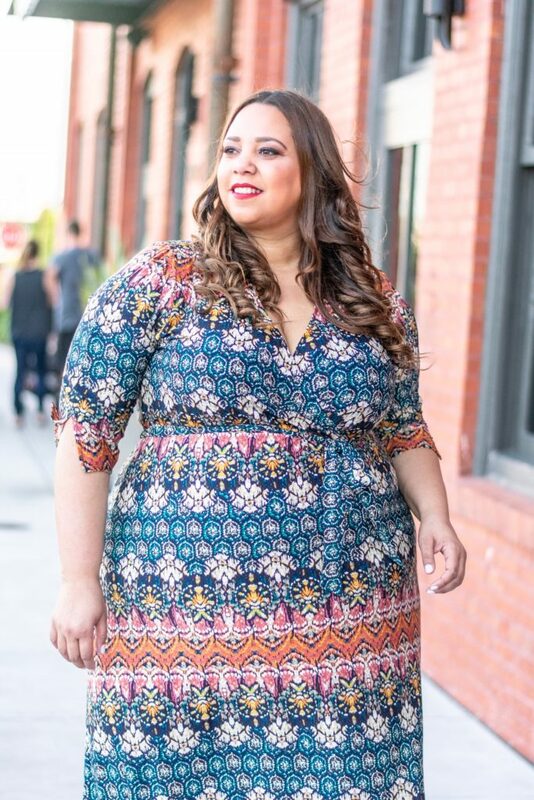 Plus Size Blogger Farrah Estrella Wearing Catherines. Hola Estrellitas! I am super excited to be collaborating with Catherines this month to showcase some of their looks, featuring some of my favorite Fall trends for 2018. I picked out three outfits from their website including a sweater with jeans and loafers, as well as, two dresses. I am a dress kind of girl regardless of the season… I love wearing dresses. Now, let’s talk about my looks shall we. It’s sweater season and this look is one of my favorites. It’s casual but elegant and who says that sweaters have to be boring. This sweater is super-soft and lightweight. 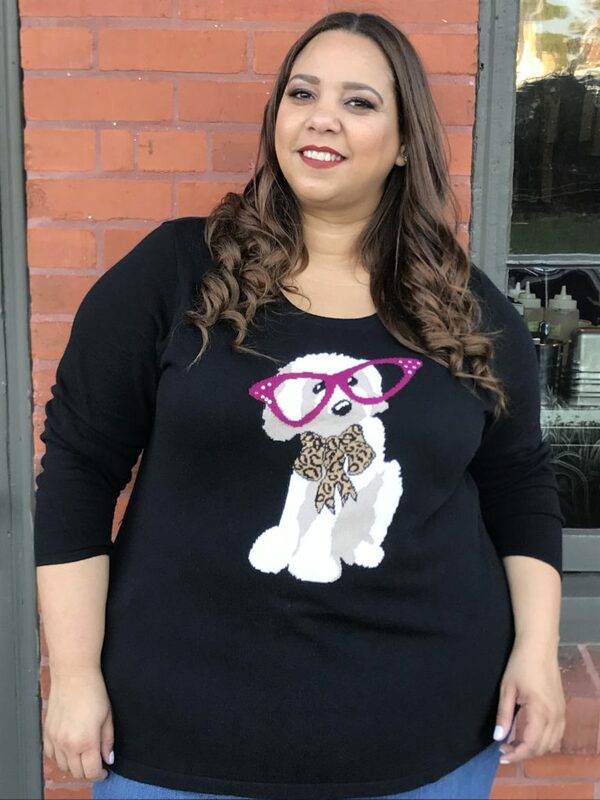 The playful dog graphic embellishment is super chic and eye-catching. You can wear this to a date or for casual Friday at work. The loafers are also very comfortable, but I got them because of the color. 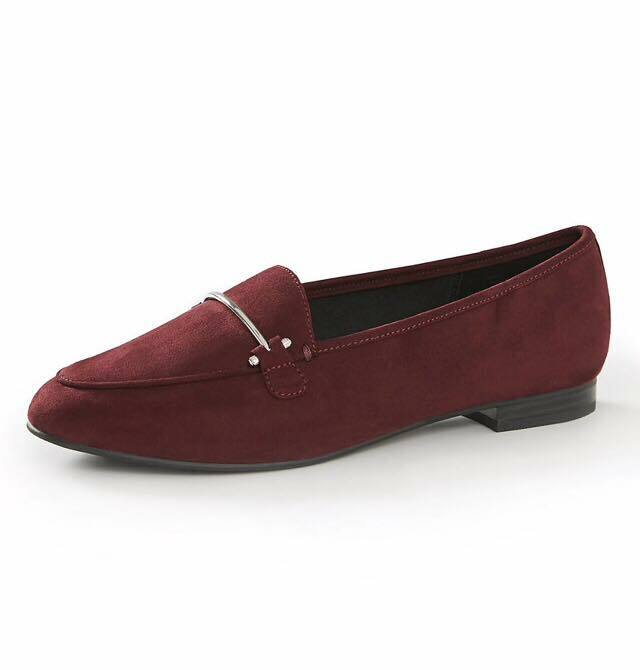 Usually loafers are black or brown and this pair is burgundy. They match my sweater perfectly and you guys know by now, how much I love to match. I honestly can dress like this every day during Fall/Winter. This look, it’s one of my go to every day looks especially because of the jeans. It is hard to find plus size jeans that fit properly. I am wearing the new straight leg jeans with a secret slimmer and they are fabulous. These jeans have a hidden tummy-control panel that gives you extra support for an instant slimmer look. You can never go wrong with jeans, they are timeless and durable. 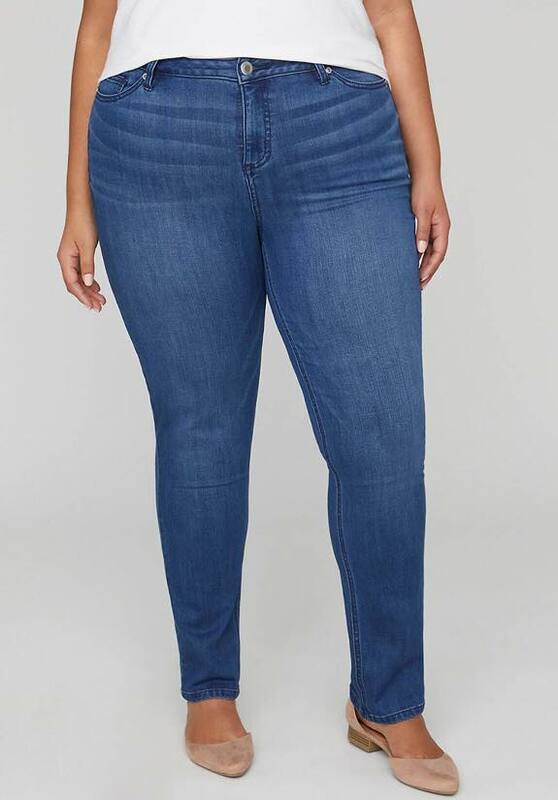 One last thing about the jeans, they come in sizes 16w to 34w and in petite plus sizes. Fashion Blogger Farrah Estrella. Photo by Latonia Robinson. 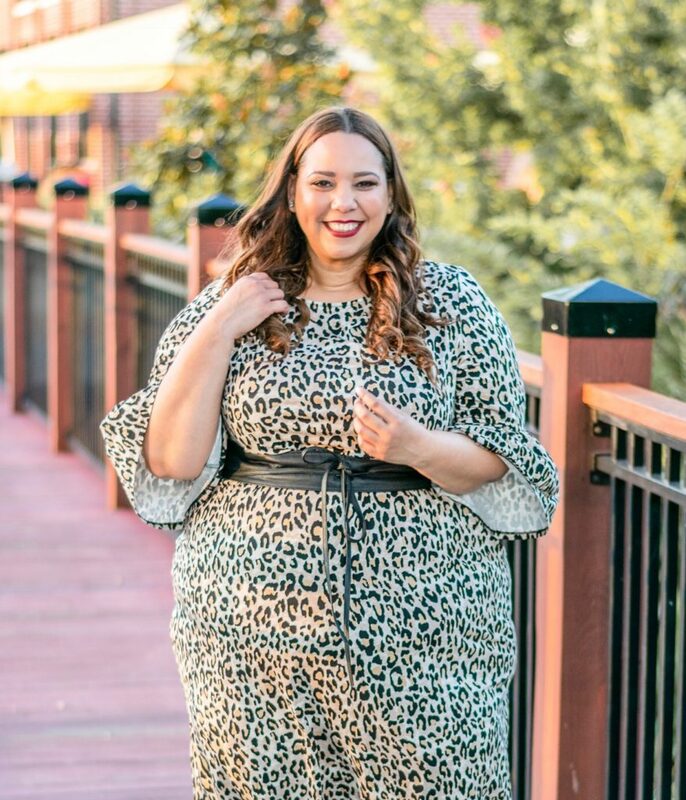 Plus Size Blogger Farrah Estrella. Photo by Latonia Robinson. 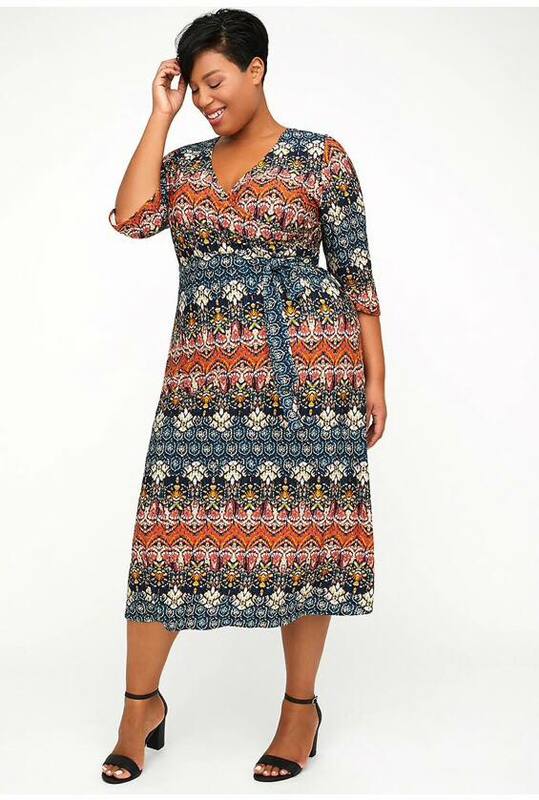 I love wrap dresses because they are very flattering, and you can wear them any season. 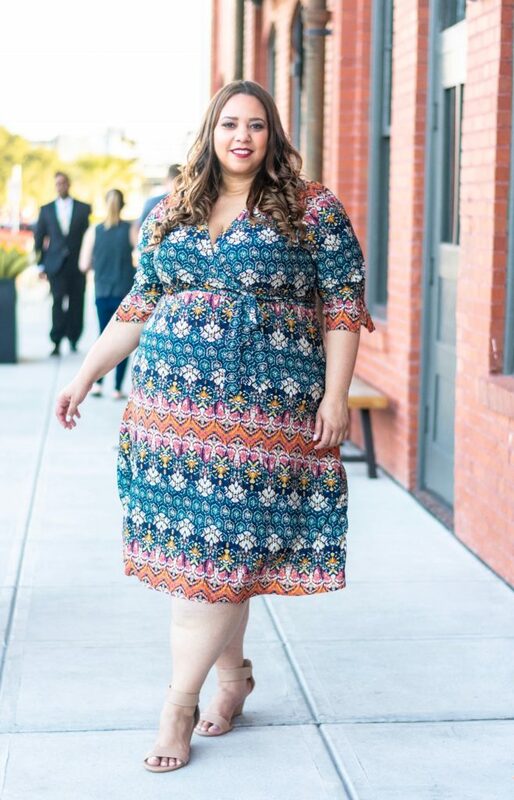 The print of this dress is perfect for Fall with the combination of the colors brown, orange, blue-green and beige. Now, most of you know that I live in Florida and it doesn’t get as cold down here, as it does up North. That is why we have to adapt our Fall/Winter looks. Some of you also might be surprised to see that in the pictures I am wearing sandals, but the truth is that it is not too cold down here yet to wear boots. That doesn’t mean we can’t look stylish and trendy. Once it gets colder I will add a denim jacket, boots and a cool hat to this look, but for now I am adapting my looks according to our weather. Ladies, I saved the best for last. Leopard print is a classic. Animal prints are considered neutrals, just like black or brown, you can wear them with everything. 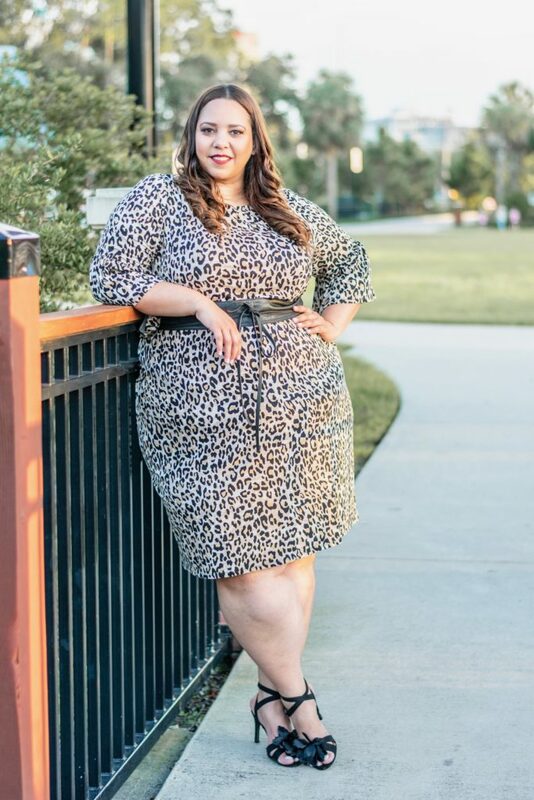 Not only does leopard print look great with any color, but it also looks great with denim. In this case, I decided to pair it with black. 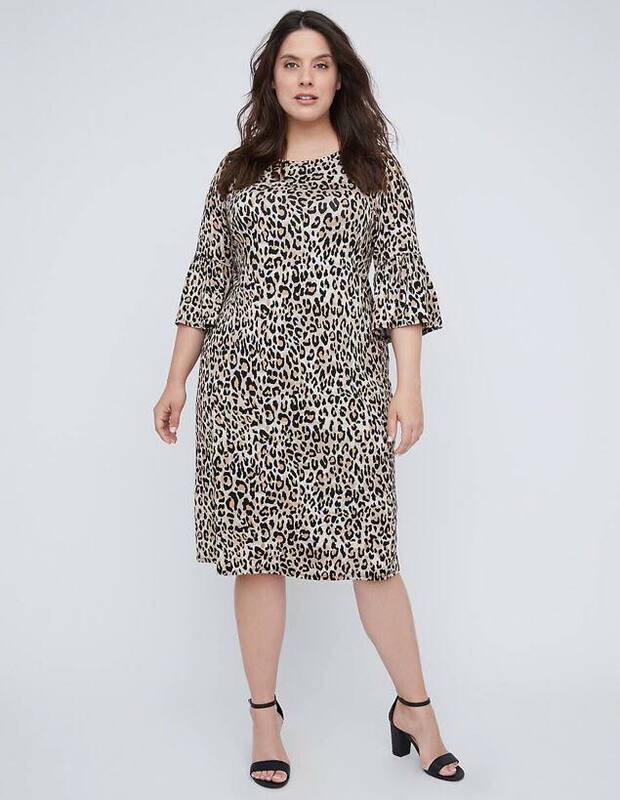 Although I am a very colorful person and I love color, I just thought that the simple combination of the black with the leopard print would take the outfit up a notch. I also love the fit of this dress. It fits comfortably without clinging. What do you guys think of these looks? Let me know in the comment section down below, let’s chat. 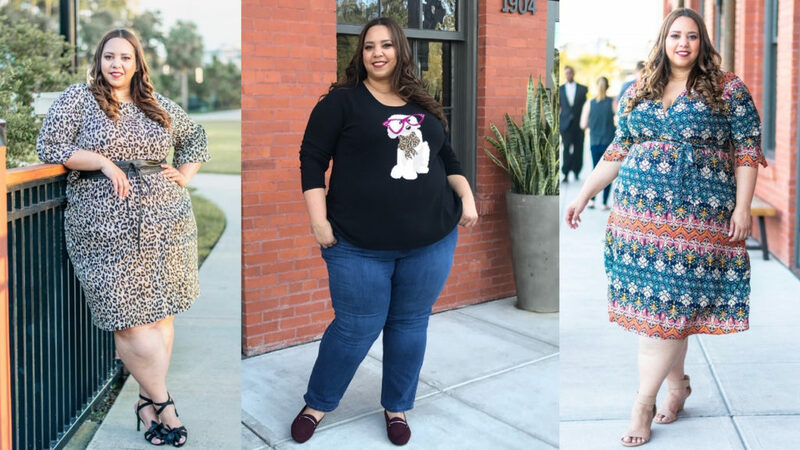 Tampa Plus Size Blogger Farrah Estrella. Photo by Latonia Robinson.